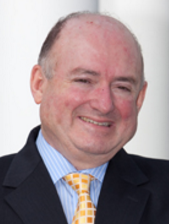 Fernando Tesón, a native of Buenos Aires, is the Tobias Simon Eminent Scholar at Florida State University College of Law. He is known for his scholarship relating political philosophy to international law (in particular his defense of humanitarian intervention), political rhetoric, and global justice. He has authored Justice at a Distance: Expanding Freedom Globally(Cambridge University Press, 2015) [with Loren Lomasky]; Rational Choice and Democratic Deliberation (Cambridge University Press 2006) [with Guido Pincione]; Humanitarian Intervention: An Inquiry into Law and Morality (3rd edition fully revised and updated, Transnational Publishers 2005); A Philosophy of International Law (Westview Press 1998); and dozens of articles in law, philosophy, and international relations journals and collections of essays. Perverse incentives distort the truth seeking nature of scholarship in academia to better benefit those in power.